Most kids participate in physical activity with their peers, both within and outside the school setting. Social skills play an essential role in peer interactions. Children with Asperger’s (AS) and High-Functioning Autism (HFA) often have difficulty playing with peers, because they have difficulty handling reciprocal conversation, making eye contact, playing social games, sharing with others, taking turns, understanding social cues, and simply making friends. Even though kids on the autism spectrum desire social interaction with others, they have a hard time finding and keeping friends due to their social difficulties that frequently stem from a lack of skill in initiating and responding to various situations. Many of these young people describe themselves as feeling depressed or anxious, and a major trigger for feelings of anxiety is having to initiate social interactions. Researchers have identified other critical social skills that kids with AS and HFA often do not acquire, including: understanding and using body language, learning strategies related to initiating and ending conversations, giving and receiving compliments, and empathizing with others. In addition, kids on the autism spectrum often experience difficulty accepting winning and losing - and handling criticism of performances. 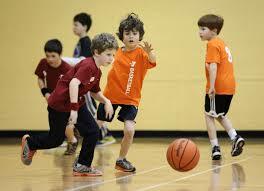 Social settings that involve physical activity (e.g., basketball, physical education class, etc.) often heighten the anxiety levels of kids on the spectrum due to their gross and fine motor skills deficits. The physical ability of these young people is often lower than that of their same-aged peers. 1. Pairing children and allowing them to work with a partner in various activities is a successful method for increasing appropriate social interaction. 2. Sensitive “peer-buddies” may encourage appropriate social interaction. In addition, they can help kids with AS and HFA by clarifying questions or by giving them clues to help them follow instructions that the coach or physical educator gives. 3. Monitor social interactions closely to ensure that kids on the autism spectrum stay on task and do not dominate the conversation - and to ensure that other children do not intentionally prevent kids with AS/HFA from interacting with the group. 4. Reduce wait time. Children on the spectrum often display inappropriate behavior during unnecessary wait times. Keeping these young people active can increase physical activity and appropriate behavior. 5. If a visual cue is not a sufficient adaptation, the physical educator or coach may consider role-playing to teach conversational interactions and other social skills. Many kids with AS and HFA need direct instruction in such social skills as initiating conversation and taking turns. 6. Role-playing activities also can help teachers and coaches instruct children in appropriate equipment use. Role-playing can simplify the often-complex skills of using equipment appropriately. 8. Use visual cues. When an AS or HFA child dominates a conversation or takes control, he is often not aware of the occurrence. Developing a specific sign to share privately with the “special needs” child can serve as a cue to him to allow others to take part in the conversation. The use of nonverbal cues gives the youngster an opportunity to work on such skills as taking turns during conversation and during games and activities.